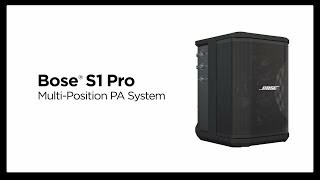 The S1 Pro is the ultimate all-in-one PA, floor monitor, practice amplifier and primary music system. Multiple positions, supported by Auto EQ, ensure that you always sound your best. 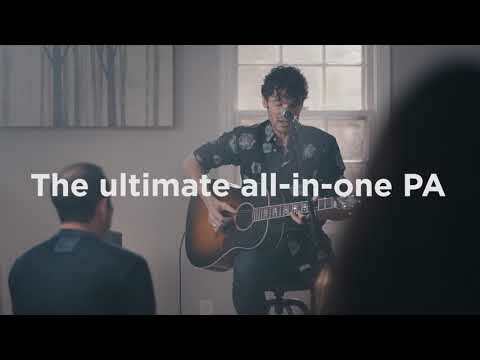 And with a 3-channel mixer, reverb, Bluetooth® streaming and ToneMatch® processing onboard, the S1 Pro is ready to be your go-anywhere PA.
High-output sound from a small, convenient system that is ready to perform whenever and wherever you are. Lightweight, ultra-portable enclosure is designed to transport effortlessly using the convenient carry-handle. Rechargeable lithium-ion battery allows you to perform anywhere for hours. Onboard 3-channel mixer offers independent ToneMatch®, reverb, and EQ controls on two channels, with a dedicated channel for either wired (3.5 mm) or wireless music sources. Multiple positions with Auto EQ ensure that you always sound your best, regardless of placement orientation. Speaker stand compatible with standard 35 mm pole mounts. 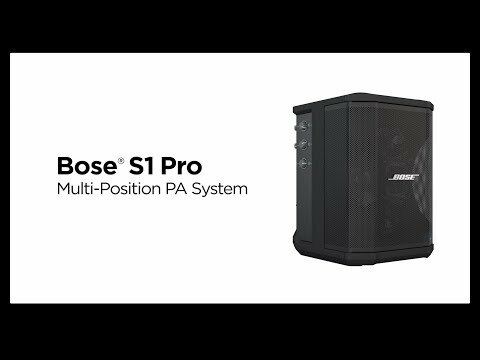 Considering purchasing the Bose S1 Pro Multi-Positional PA System with Battery Pack? Have questions? Ask people who've recently bought one. Do you own the Bose S1 Pro Multi-Positional PA System with Battery Pack? Why not write a review based on your experience with it. Saving money for the next s1 pro. Love it!!! 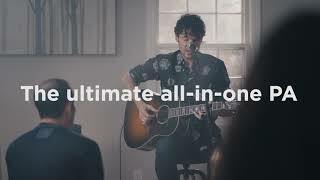 Seen a video for Bose S1 Pro Multi-Positional PA System with Battery Pack online or have you own video? You will earn 1,058 loyalty points with this product worth £2.65, when logged in. Check out Bose S1 Pro Multi-Positional PA System with Battery Pack on DJkit.com!